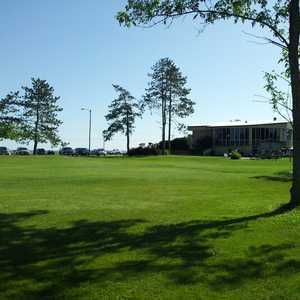 The 18-hole North Shore Golf Club in Menominee, MI is a semi private golf course that opened in 1926. The 18-hole Riverside Golf Club (previously known as Riverside Country Club) in Menominee, MI is a semi-private golf course that opened in 1901. Designed by Tom Bendelow, A. H. Jolly and Roger Packard Riverside Golf Club measures 6279 yards from the longest tees and has a slope rating of 125 and a 70.